Light and compact, making it easy to operate and store. 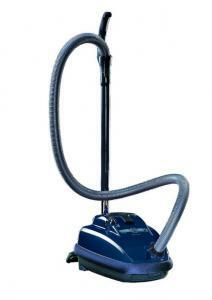 SEBO AIRBELT K Canister Vacuum Cleaners, Best Lightweight, Portable, Canister Vacuum Cleaners. The SEBO air belt K2 canister vacuum cleaners are for those who want the quality and durability that come with a SEBO vacuum, but who are willing to sacrifice some of the features found in the SEBO Air Belt C models. The SEBO air belt K2 canister vacuum cleaner is SEBO's lightest canister vacuums, and offer good cleaning power, quiet operation, specialized on-board tools, a first class filtering system that meet the US HEPA standard for dust and particle filtration, Rubber coated wheels prevent damage to floors and rotate 360¡ for easy maneuverability. Quick-release for ease of brush head change. Large control switches for power & cord retractor that offers a 26-foot operating range. High-quality telescopic tubes that provide convenient handle-height adjustment. Includes 3 onboard tools that are stored inside the vacuum canister for convenience - tools will not get lost or left behind in the closet with this feature; suited for dusting, corners, crevices and stairs. The SEBO air belt K2 canister vacuum cleaner has straight suction vacuum with included Combination Nozzle, versatile for use on both hard floors and carpet. Much lighter and more compact than SEBO Air Belt C Models. Vacuum Cleaner Micron filtration: Sebo vacuum system meets S Class filtration standards (aka "HEPA" in U.S.), hospital-grade microfilter, mico-exhaust filter. This system does not contain a HEPA filter. Weight of vacuum: 12 lbs.